Harness the power of the Internet of Things (IoT) technology in retail. Customer engagement will be shaped by customer experience. Technology is a key driver for the modern retailer in transforming consumer experience. Gain visibility into your business operations and automate processes through the application of RFID technologies. RFID solutions give you the real-time asset visibility you need to streamline operations, maximise asset utilisation and error proof asset-related data. RFID technology can help you reduce stock-outs, resulting in higher revenue and a better customer experience. The technology can track the movement of merchandise through the entire supply chain and in-store, the movements of stock from the stockroom to the shop floor. Allowing for more frequent stock counts, closing the gap between your book and actual stock inventory. In short, making sure you put the right stock in the right locations. 1. The need for real-time, accurate stock visibility to meet the demands of the connected consumer. 2. Improvements in RFID technology has resulted in the development of enhanced business solutions. 3. Proven benefits demonstrated by over ten years of development and results as seen by early adopters. Bluetooth low energy (BLE) beacons have developed to the point where they offer valuable opportunities in retail applications. Adoption rates for beacon technology in the USA have skyrocketed with the forecast number of beacons expected to exceed 4.5 million by 2018. Applications in beacon-based marketing, particularly Proximity Marketing, where retailers can engage shoppers before they even enter the store, are receiving strong support. Receiving personalised and relevant information and a customised experience goes a long way in converting sales. Also, the ability to monitor and track the real-time positioning of assets is a valuable service. BLE devices have the capacity for location intelligence and real-time tracking of where an asset is on the premises. * Real-time asset tracking and wireless sensor networks. The challenge facing retailers today is how to make the most of this opportunity by engaging with customers in the most efficient, captivating and profitable way. Wi-Fi represents the golden opportunity to interact with shoppers via their smartphones. A retailer needs to be sure they can transfer the right offers and product information at the right time in a way that does not irritate or annoy. Wi-Fi is an excellent solution as it is versatile, cost-effective as a technology and is one that most store operators already have as part of their primary store infrastructure. or discover the numerous WiFi applications where Beyond Retail can assist you. The EVT is a peripheral that looks like a barcode scanner to the attached POS terminal. The EVT connects to the Internet, via WiFi and the Retail Edgeware Application Platform (REAP™) Cloud service. The REAP™ Cloud Service reads tokens, such as Barcode, NFC, BLE or keystroke inputs for different barcode or set of keystrokes that are injected into the POS (e.g. A discount barcode voucher). The process allows the EVT to integrate with the POS in an agnostic way requiring no POS software changes, using a lightweight infrastructure. What you can do with the EVT? Talk to a Beyond Retail technology expert and discover the applications where EVT can add value to your retail business. The first vertical integrated IoT platform to bring e-Commerce style shopper analytics to Brick and Mortar retailers. RetailNext is a pioneer in focusing entirely on optimising the shopper experience. RetailNext’s analytics software and retail expertise to increase sales, reduce theft and eliminate unnecessary costs are why Beyond Retail’s experts can work with your store to discover how implementing the RetailNext program can add value to your retail business. We provide store operations executives with the ability to identify opportunities for growth, execute changes and measure success. Increasing competition in retail is forcing retailers to re-evaluate how they deliver value and stay relevant to customers. Retailers want to understand what drives customers to visit their stores and make purchases and how to reinforce those loyal behaviours. Loyalty programs can help you achieve these goals, increase store traffic, generate more repeat visits, drive deeper engagement and successful financial returns on the overall loyalty investment. All things considered, doing loyalty successfully is no easy feat, but it can be done and be rewarding. There is no single key to a successful loyalty program. It takes the combined effort of new technology, data-driven strategy and ongoing adjustment and improvement. Successful Loyalty programs should be supported by efficient reporting capabilities that link transaction data, customer data, CRM and campaign data to provide a birds-eye view of your Loyalty system. Retailers spend five to ten times more to capture a new customer than to retain a current one. That means that engaging your existing customers could cost far less and reap more benefits in the long run. If you want to know how to create your own Loyalty Program or want to augment your existing program, the talk to one of the Beyond Retail experts and explore the options available to you. Today facial recognition cameras, which track the face of consumers are starting to become adopted by retailers in Prime markets. In fact, search by CSC¹ revealed that an estimated 59% of fashion retailers in the United Kingdom are using facial recognition today. Having the technology and infrastructure in place, such as big data and customer analytics, will help retailers to understand their client better, as they look to adapt to changing consumer behaviour, in this rapidly evolving environment. Facial recognition is also used for security. However, it has a stronger purpose. Facial Recognition can also be applied to analyse shoppers behaviour, where they go and what grabs their attention. Shopping Centres and retailers are using facial recognition technology with shoppers to learn more about customer demographics. This technology can be used to collect data about a shopper’s age, gender, and even his or her ethnicity. Beyond Retail has a very close relationship with Display Sense, the authorised distributor of the mobile 3D Augmented Reality platform Blinxel. The Blinxel AR technology means Beyond Retail can provide Augmented Reality solutions to retailers at a fraction of the cost of other augmented reality solutions. The patented process created by Blinxel is a world first and leads the market in mobile 3D Augmented Reality technology. Why should you talk to Beyond Retail about Augmented Reality (AR)? 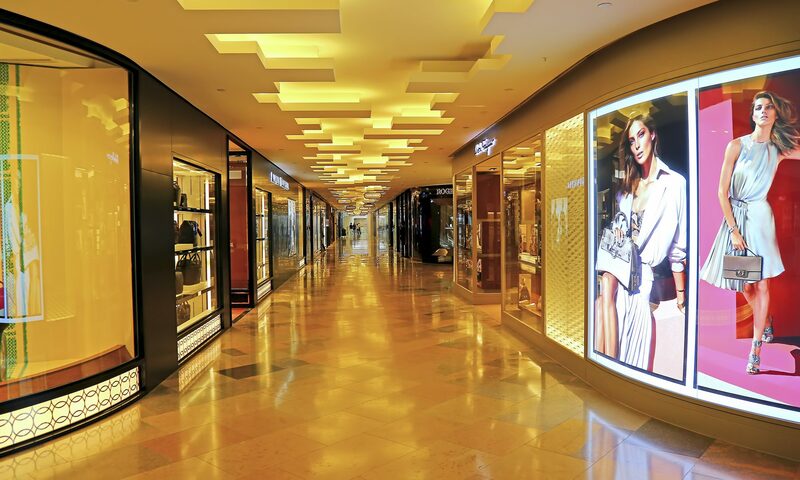 Retailers committed to developing experiences are also benefiting from retail analytics via product promotion and selection to inventory management, with the view to ultimately increase store traffic and sales. Beyond Retail’s development team can work to add to your existing platforms or create new platforms and tools that deliver to both the customer and the retailer.